If you’re part of a sports club, you’re perfectly placed to make a grand slam victory of any fundraising campaign. Think about it. Motivation, organisation, and teamwork, are already at the heart of everything the club stands for. Put them together, and you have the perfect fundraising storm. Motivation: Your club needs money to survive. From kit and equipment to fees and transport, you’re already used to driving income just to keep going. So you’re perfectly placed for a robust fundraising campaign. What’s more, fundraising has an added string to its bow – it ties in perfectly with the aim of recruiting new members to the club. So you’ve a double whammy win, right there. Organisation: Think about it. An established campaign committee? Tick. Regular diary dates, where your target audience already wants to be? Tick again. Competitive bunch of achievers? Big tick. Teamwork: Plus, you have a ready-made bank of motivated volunteers who love their sport. From shifting kit, to spreading the word, you’ll have someone in your club who can cover pretty much anything required to make a success of a fundraising campaign. So let’s get you started! Posters, a Facebook page, target thermometer in the clubhouse, word of mouth – you name it, talking about your campaign is vital to ensuring that it stays top of mind, and that people remember to donate. Post photos, and regular updates on your progress, with personal stories about your teammates, and their successes. Let people get to know you all, involve them in your story, and they’ll go the extra mile for you. Building strong relationships between members and supporters is key to sporting success, as it is to fundraising. The more they feel a part of something, the longer they’ll stay with you, and the more they’ll contribute. Socialise (as if you needed an excuse! ), say thank you for the donations, involve people, and ask their opinions. It all plays a part in building a strong tribe behind the club. You have a ready-made calendar of key events in the form of fixtures, so make them work harder for you by piggybacking a fundraising event or collection onto them. You’ll have a captive audience – and if you win they’ll be in a good mood! – so half the work is already done for you. Make the most of other key dates when people are ready to spend and celebrate too – Christmas, summer Bank Holidays, and New Years are all great opportunities to promote your campaign. Yes, we know it’s dull, but there’s bound to be a detail geek somewhere in your club, and keeping a database of your members and supporters could work in your favour. You may find there are patterns around the people who are donating that you can use to your advantage for future fundraising. Organise your fundraising campaigns throughout the calendar year so you never suffer from donor fatigue. Space big appeals in amongst smaller, background initiatives, and communicate them in different ways. And always match the campaign to a specific need, be it kit, pitch improvements, or the clubhouse. Set a target, and allocate existing funds to any expenses, making sure the result is a decent profit. At the heart of every good fundraising campaign is emotion. Paint an appealing vision of what you aim to achieve, show the before and the hoped-for after, with compelling facts and statistics to back you up. Share regular updates to evolve your story. Who’s good with writing, humour or has video skills? A thank-you video showing the progress you’ve made is especially emotive if you can do it, and will keep your club in the hearts and minds of your community, ready for next time. Ask them to share your news on their own channels and aim to boost your social media followers, augmenting the message as it travels. Chances are you already have willing bodies in your sports club. But are they on first name terms with the local celebrity, the serial networker, or the billionaire businessman? Use your contacts for prize donations, star attractions, and to spread the word about your campaign. 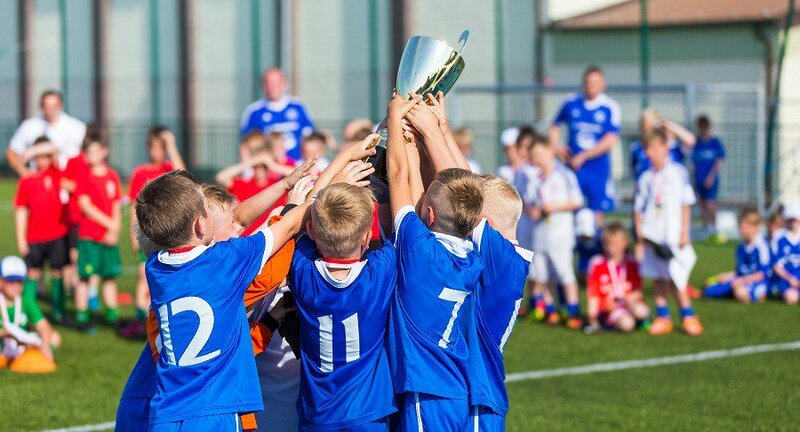 Organisations such as Sport England and the National Lottery provide financial support to thousands of clubs around the country, with small grants ranging from £300 to £10,000. It may be a long shot, but you never know until you try! Statistics say that you’ll get a lot of no’s before you get a yes, especially when you’re asking for larger sums of money. But the key to getting donations is persistent communication. Tell everyone what you’re trying to do, show them the vision, and then ask for a donation. Maximise your time on the relationships you know are the most productive, and keep championing your cause. Need funds for damaged equipment or roof repairs? Sharing video footage of the damage could be really effective. Check out what happened at this golf club after a storm. If you’re planning a new clubhouse, or shower block, why not mount a Buy a Brick campaign? You’ll get more people donating if you can help them feel like they’re making a tangible contribution. Check out Southwell Rugby Club for inspiration. Or give etch-it a call to talk prices. Base your campaign around extending your network, by asking members to refer a friend. This could mean a boost of small donations and an increase of social media followers, giving you access to more supporters in the future. Campaign for donations to fund the cost of travel and accommodation at a big Championships event. Raise money to buy specialist equipment for rising stars who will bring kudos and attract publicity for the club. Split your campaign between funding for your club, and another cause close to your heart, eg. a local children’s hospice. Go ahead and get started with your new-style fundraising campaign acumen! Tell us in the comments below about brilliant campaigns you’ve run at your club. We’re always thrilled to hear of new and innovative ways of raising money for sports clubs. Sign up to our newsletter for regular hints and tips, as well as all the latest fundraising news to help raise more money for your club. And don’t forget to share this article and ask for ideas from amongst your networks. Good luck with your next fundraising campaign!